Dr. Judy Liao attended University of California at Los Angeles for her undergraduate education and obtained her Doctorate Degree in Optometry from the University of California at Berkeley in May 2001. Thereafter, she decided to pursue one more year of intensive training in ocular disease at the Veteran Affairs Hospital at Sepulveda Ambulatory Care Center. During that time, she encountered and researched on many cases that have allowed her to earn the honor of Fellowship from the American Academy of Optometry. Dr. Liao takes great interest in preservation of vision especially in diabetic patients. She thus lectures extensively and does visual screenings at adult day health centers and nursing homes to raise the level of awareness on diabetic retinopathy. In addition, Dr. Liao is a great supporter of LASIK technology. Having worked closely with numerous renowned LASIK surgeons for many years and having been a LASIK patient herself, she now co-manages LASIK and offers it as an option to most of her patients. 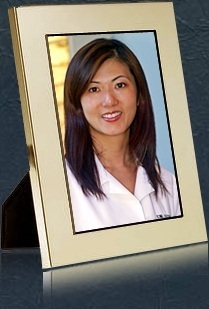 To better communicate with her patients, Dr. Liao is fluent in Mandarin, Catonese, and Spanish aside from English. When she is not at work, she enjoys bicycling, hiking, reading, and traveling with her husband and her two children. Dr. Tina Patel has lived in the Southern California area for over 25 years. She completed her undergraduate studies and received a Bachelors of Science degree at UC Riverside. She then went on to receive her Doctorate of Optometry Degree in 2007 at Nova Southeastern University College of Optometry in Fort Lauderdale, FL. Dr. Patel has been practicing primary care optometry in the past several years and prides herself on seeing and examining patients of all ages, even as young as age one. She performs comprehensive eye exams as well as co-manages with ophthalmologists for ocular surgeries such as cataract and LASIK. Over the last few years, Dr. Patel has focused more of her practice of vision care on children, that in turn, help reduce their vision related problems in school. Dr Patel is able to communicate with her patients in Spanish and her native language Gujarati, aside from English. In her spare time, Dr. Patel enjoys spending time with her family and friends and wishes to see as much of the world and visit as many Disneyland parks as she can. Lucy is the office manager and lab technician at L.A. Vision Optometry. She has years of experience as a dispensing optician and has a great knowledge of eye wear and current lens technology available for glasses. Lucy is most often hard at work in the lab but will come and assist our patients with a smile and help to make your visit to our clinic as easy as possible. Sildia is our ultra friendly front desk receptionist who wears many hats in our office. Not only will she guide you through the process of your eye exam, but will go over your insurance benefits and help in the selection of your eye wear and lenses. Whether you are visiting our office for the first time or coming back for your annual visit, Sildia will make sure to get you through the visit comfortably and efficiently. Ruby is the optician who will welcome you the moment you step in the door with her brilliant smile. From your welcome form to checking out, Ruby will be there with you to answer any questions you may have so you leave with the utmost understanding of your eye condition and eye wear. Amy is our optometric technician who will make you feel comfortable as she guides you through the pre-testing process and helps to prepare your chart for our doctors to examine you.